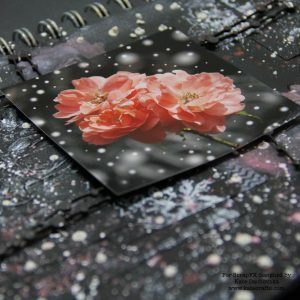 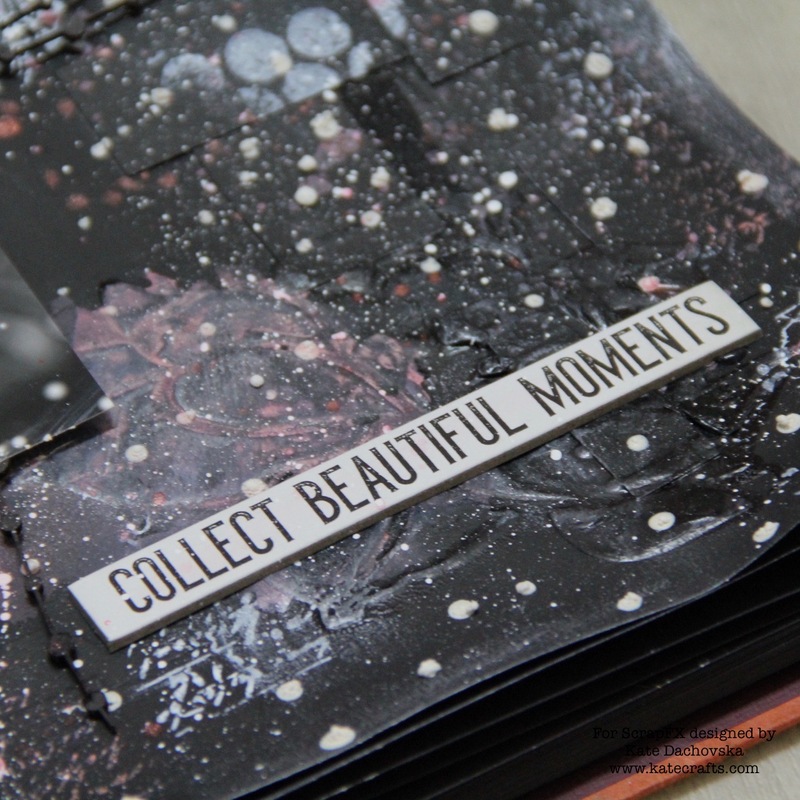 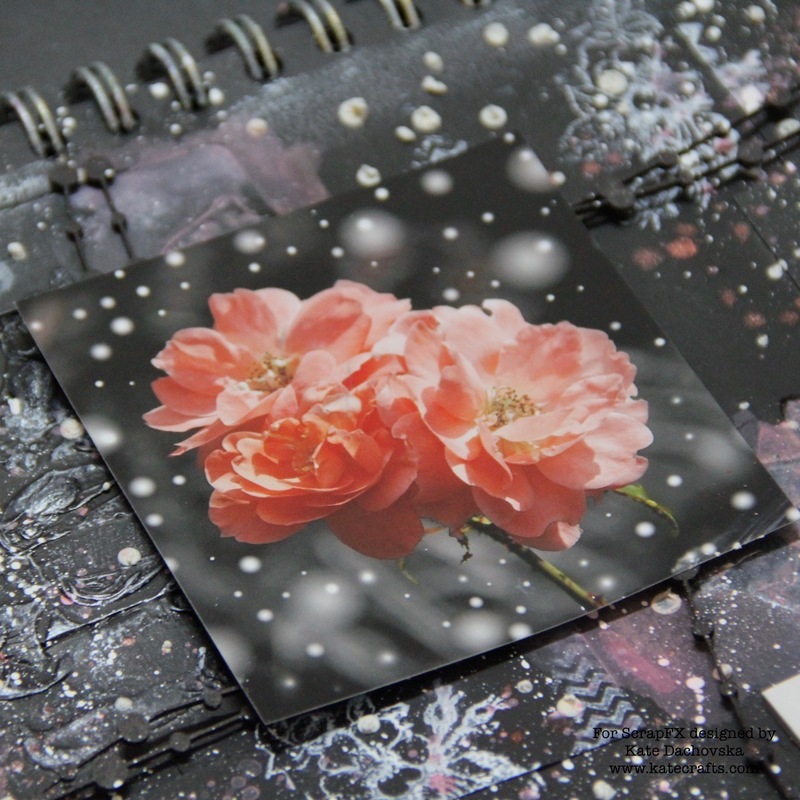 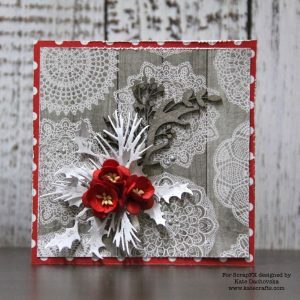 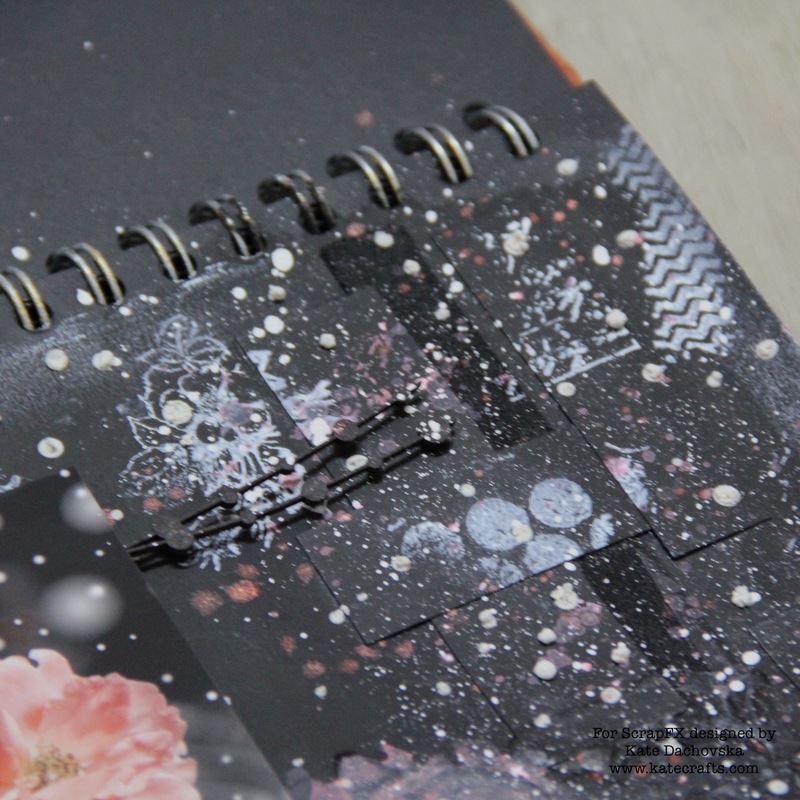 today I have for you two projects – winter black art journal and christmas cards. 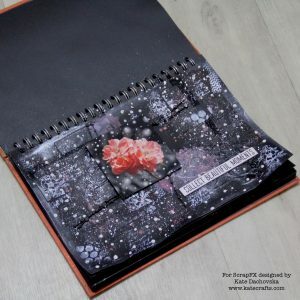 Black art journal seems to be very complicated but it is easy, I layered some scrap papers, washi tapes on background, I painted black gesso (Pebeo) all over it. 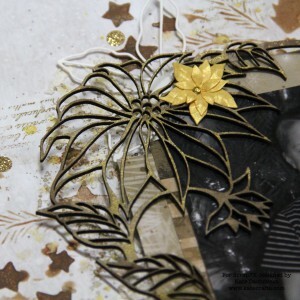 Than I applied black paste over awesome ScrapFX stencil – Camelia stencil. 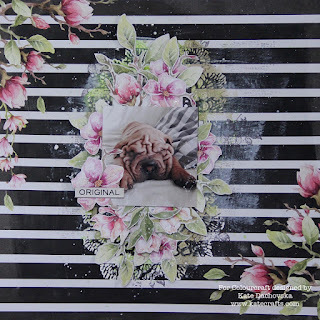 With white Hero arts ink I stamped different motives, than I glued main image photo from Freepik. 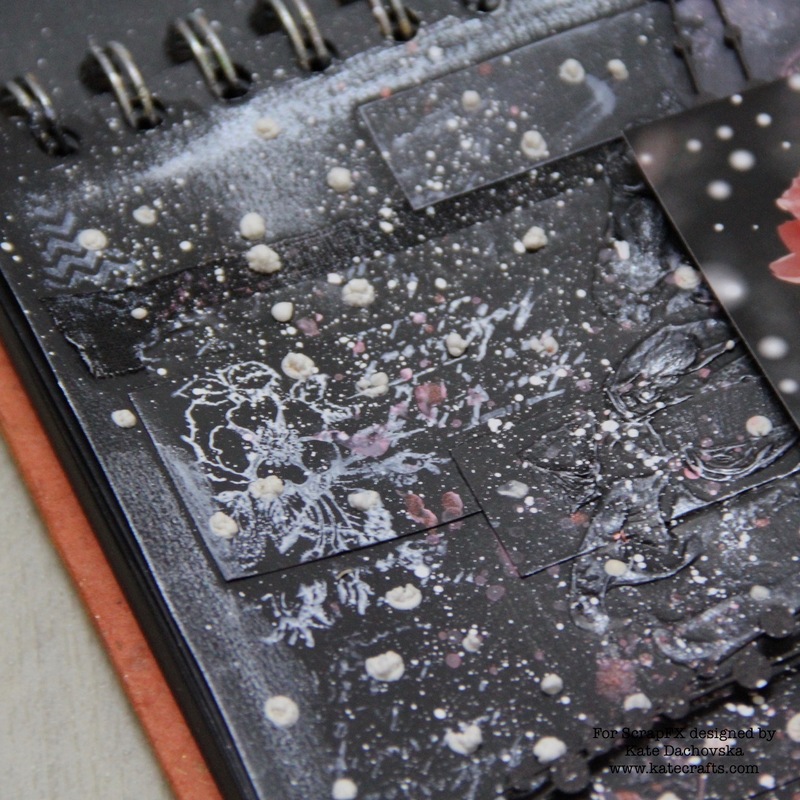 I made different splatters with white Ecoline ink and Shimmer Silver Brusho acrylic spray. I added some details with Abandoned coral Distress oxide and with silver Nuvo mousse and ExpandIT paste. Sentiment is from Tim Holtz. 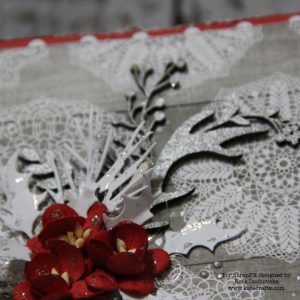 Behind photo there is black painted chipboard – Beaded strings. 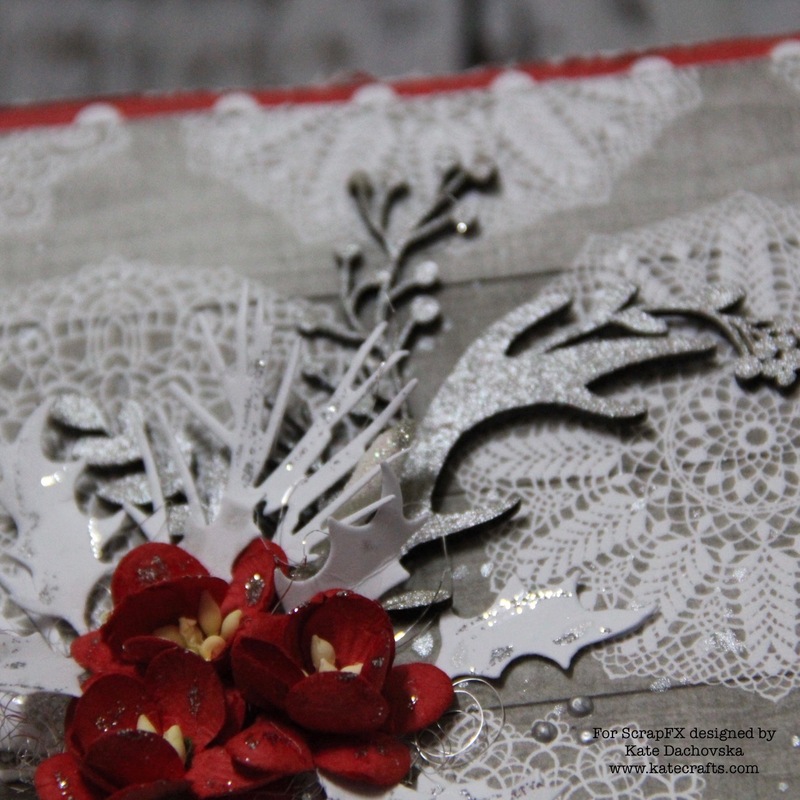 And here are my christmas cards. 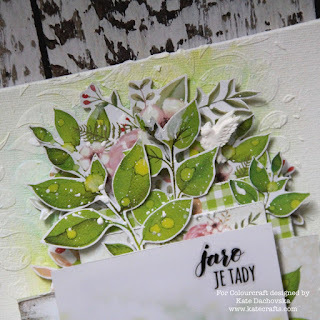 I played with Polish papers from Galeria papieru, they are lovely, it is small company but with great designer behind it. I sprayed all chipboards with silver Brusho acrylic shimmer spray I used – Decorative antlers and Holly spray. Scrap FX chipboards are really awesome and you can colour them with almost any kind of mediums. I love sprays because it is so fast. On my cards I built flower bouquet I used die cuts (Sizzix dies). 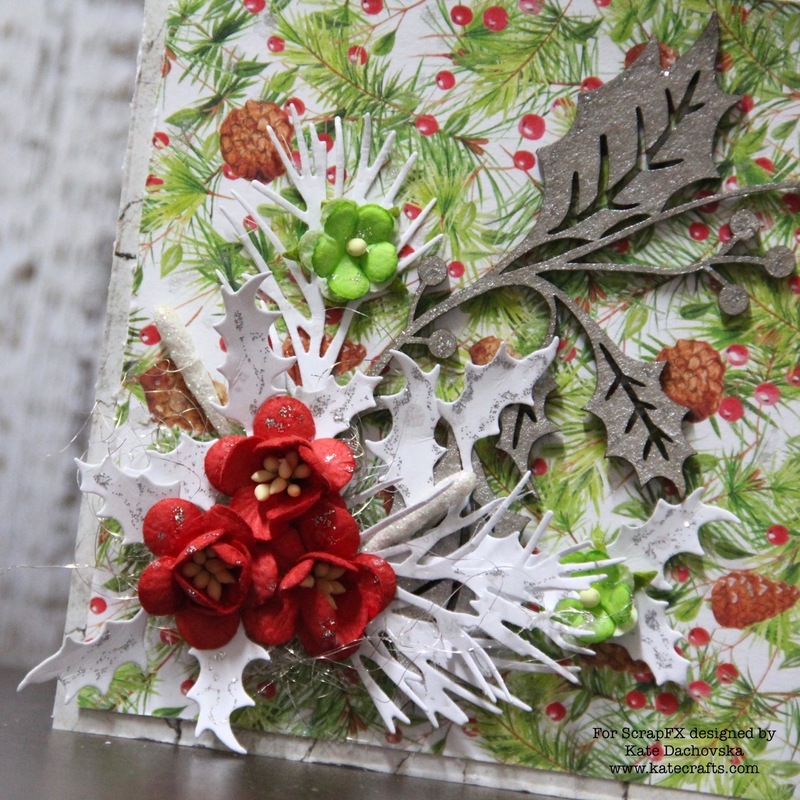 For final touch I made silver splatters and I used Nuvo drops to make some silver drops. 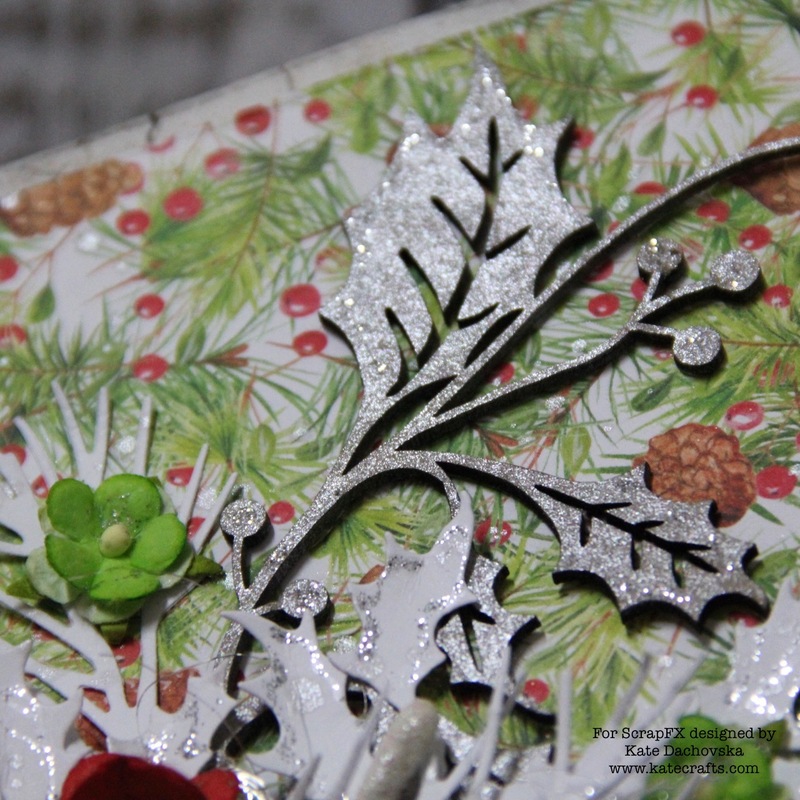 And because I love sparkling christmas cards I used also silver glitter glue. 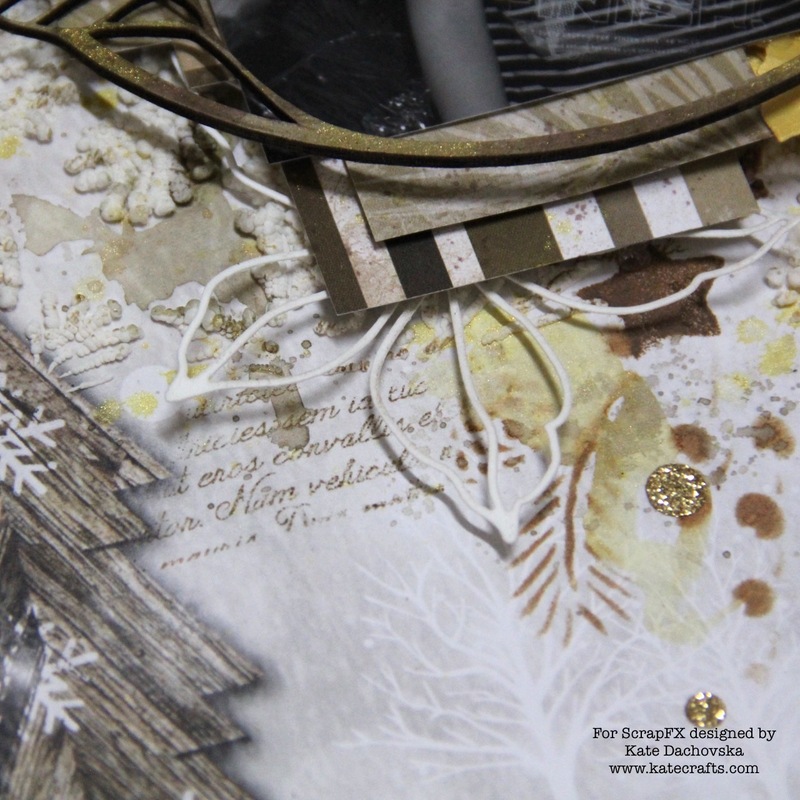 So as you can see you can use chipboards for quite easy but still mixed media cards. This entry was posted in Scrap FX and tagged art journal, Brusho, cardmaking, mixed media, Scrap FX. 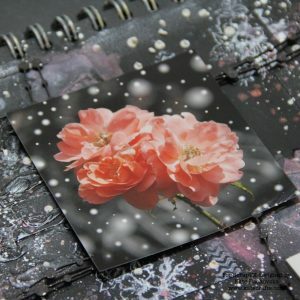 I would like to share with you my easy mixed media card. 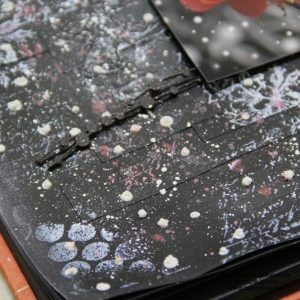 Studio light papers are not so good for mixed media projects (they are not heavy weight) but very light cover of any structure paste is OK. I made stars with snow paste and stencil and than I made some splatters with Brusho shimmer spray. 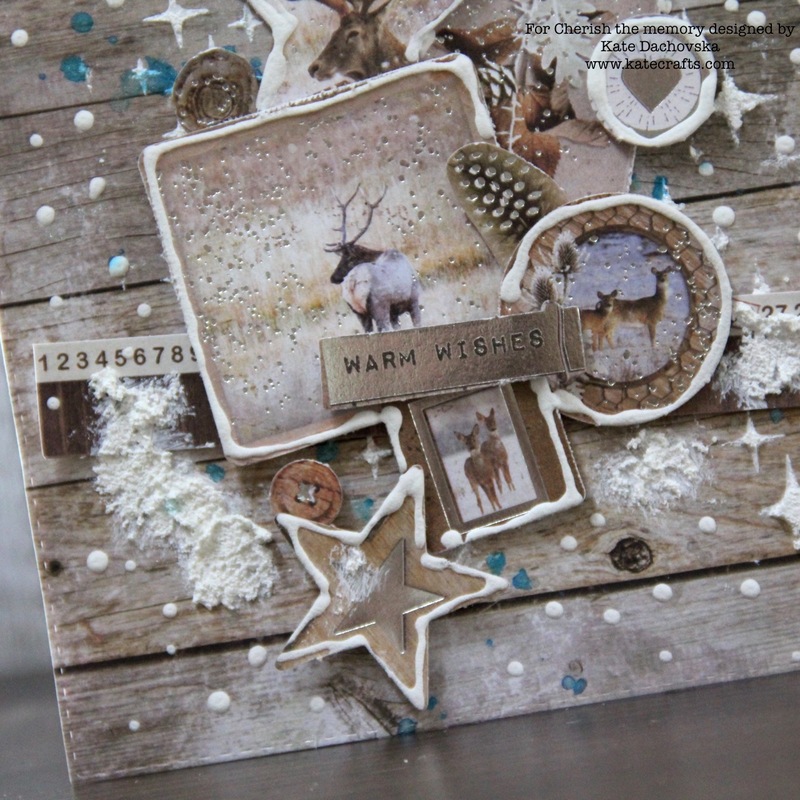 I also applied snow paste from Decoart just here and there. 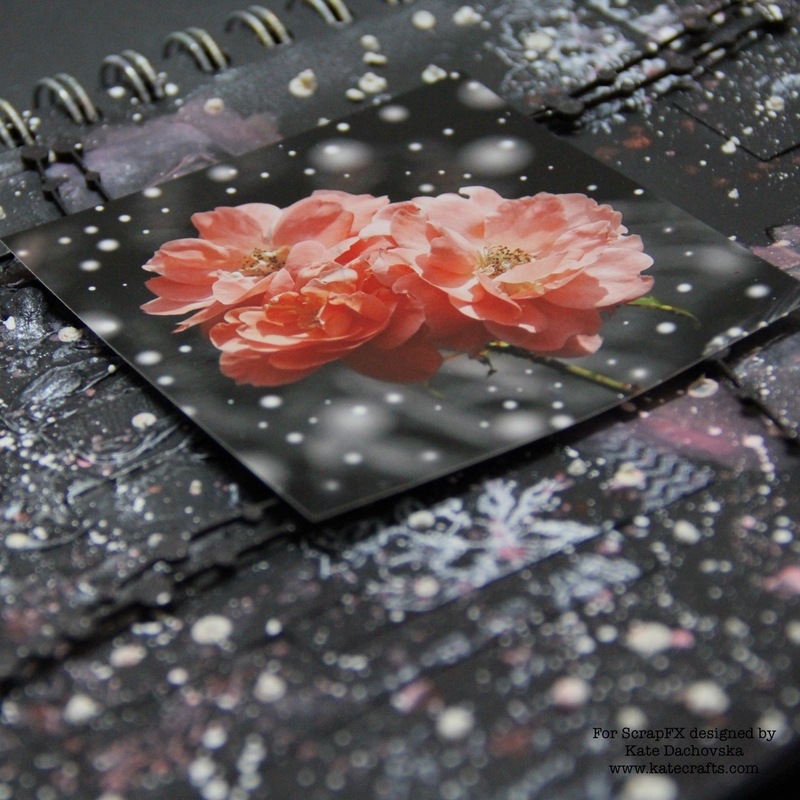 Than I adhere different images and final touch I made with snow pen. 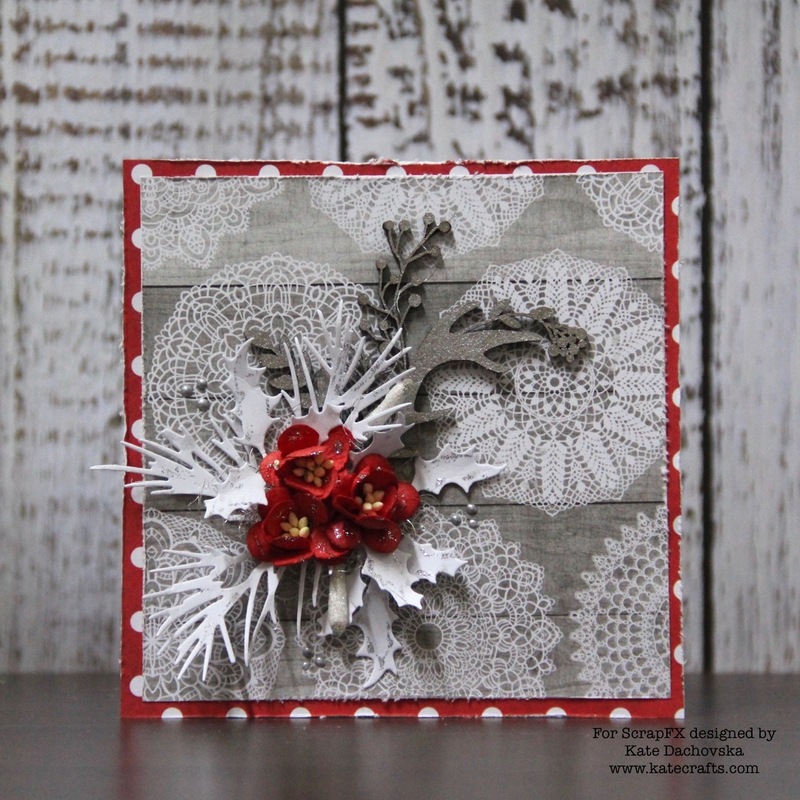 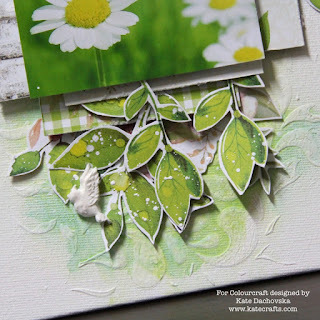 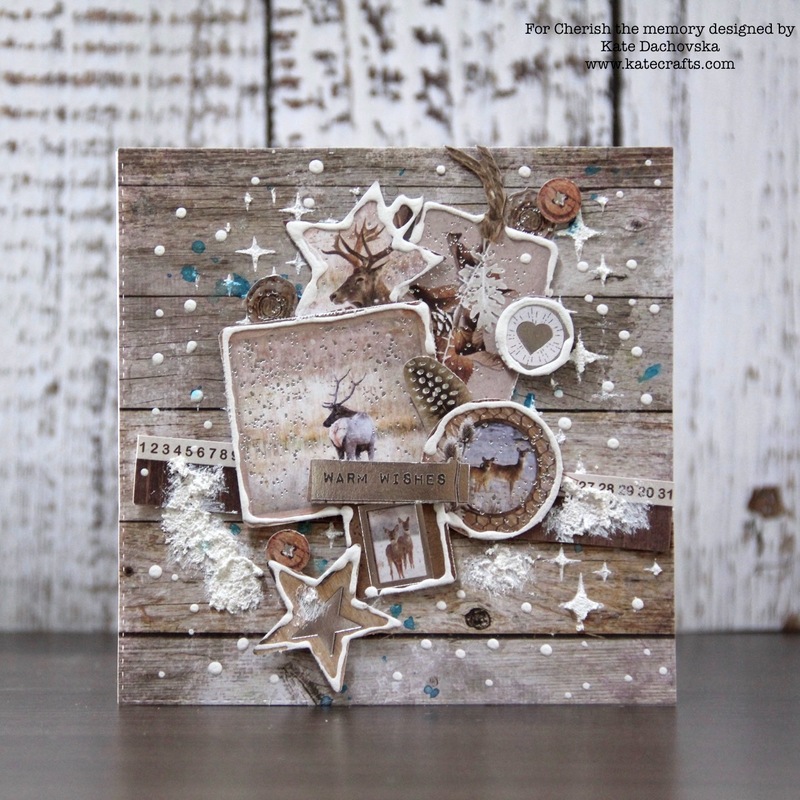 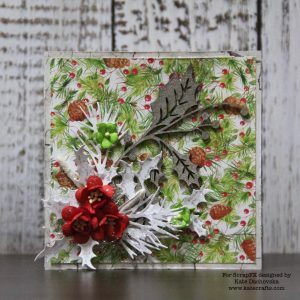 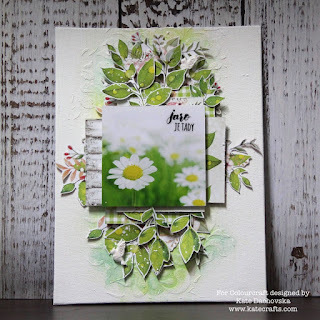 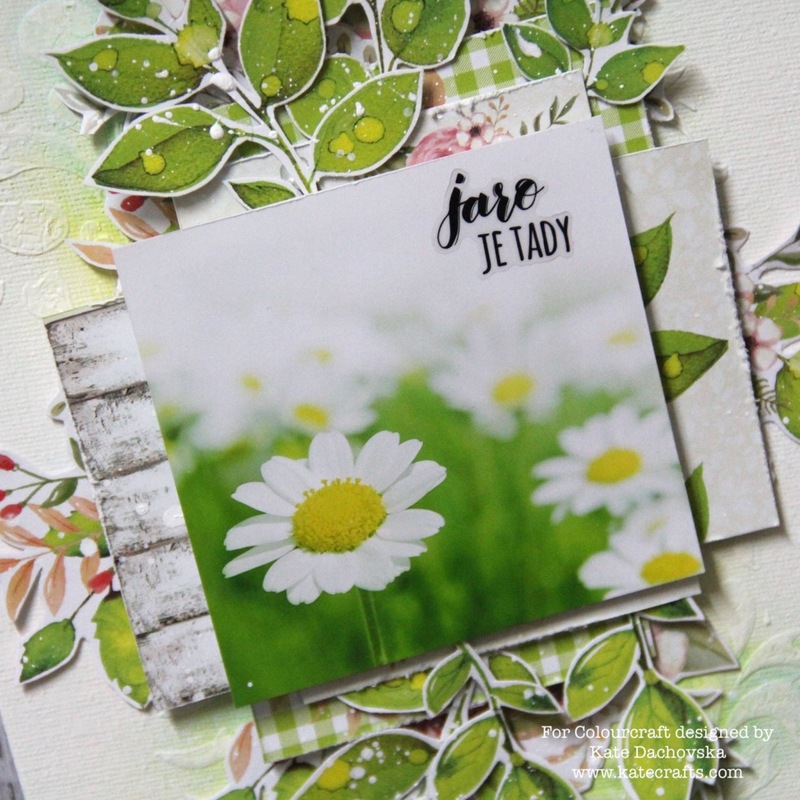 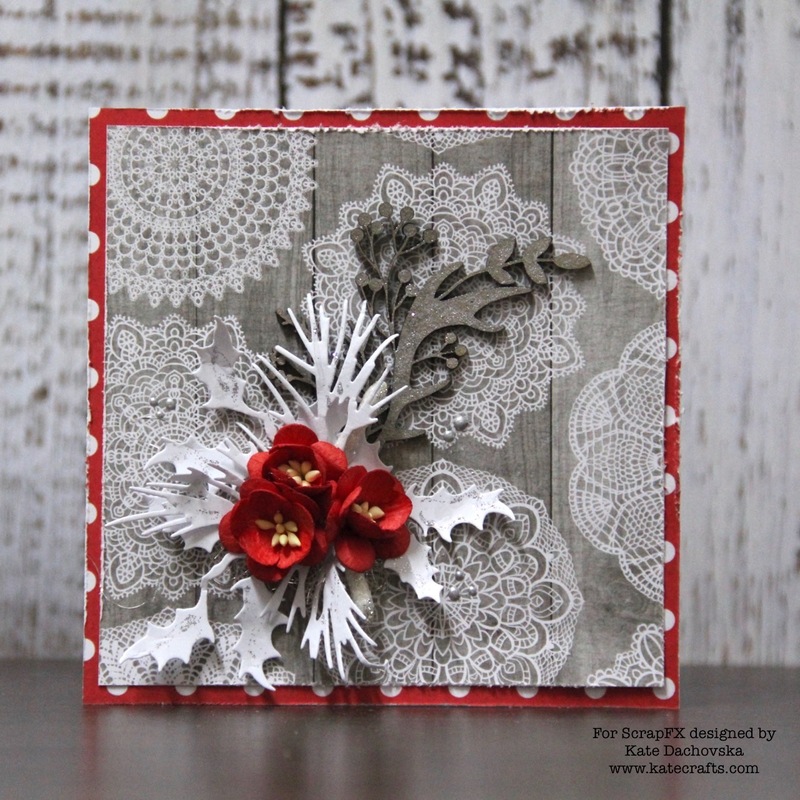 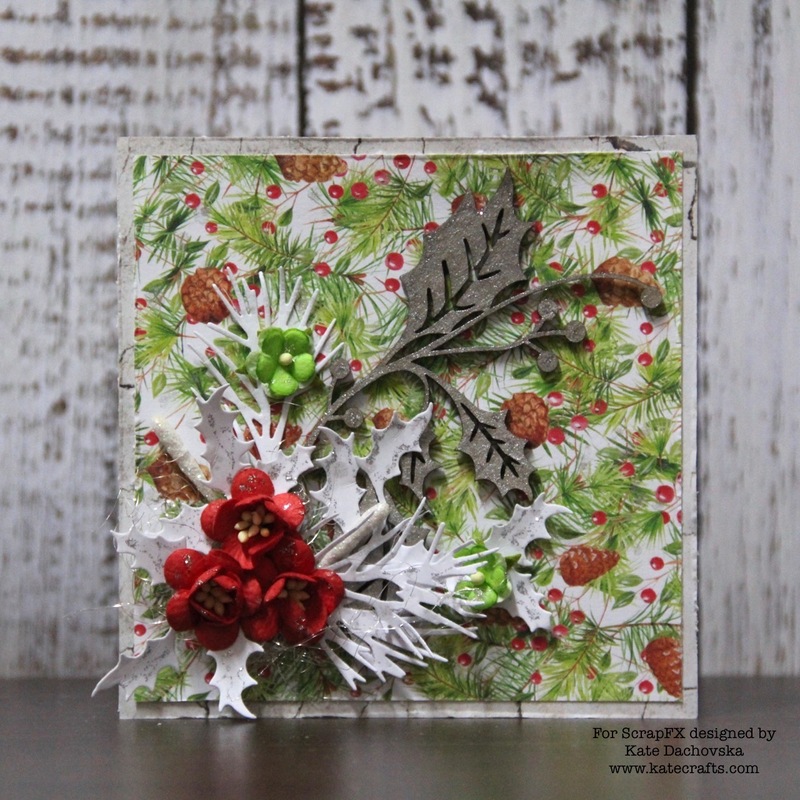 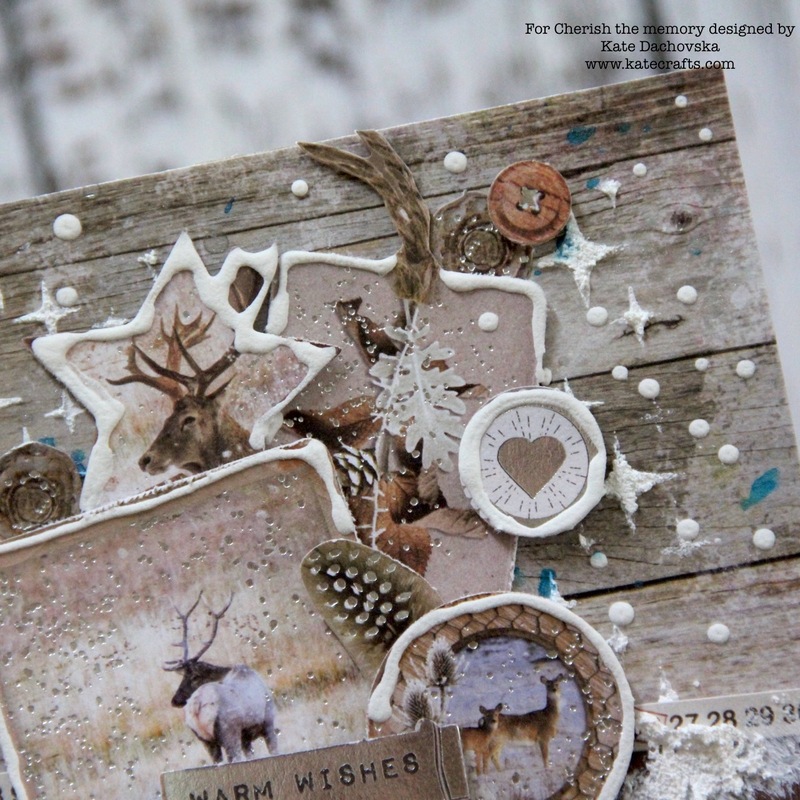 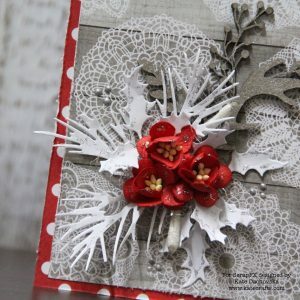 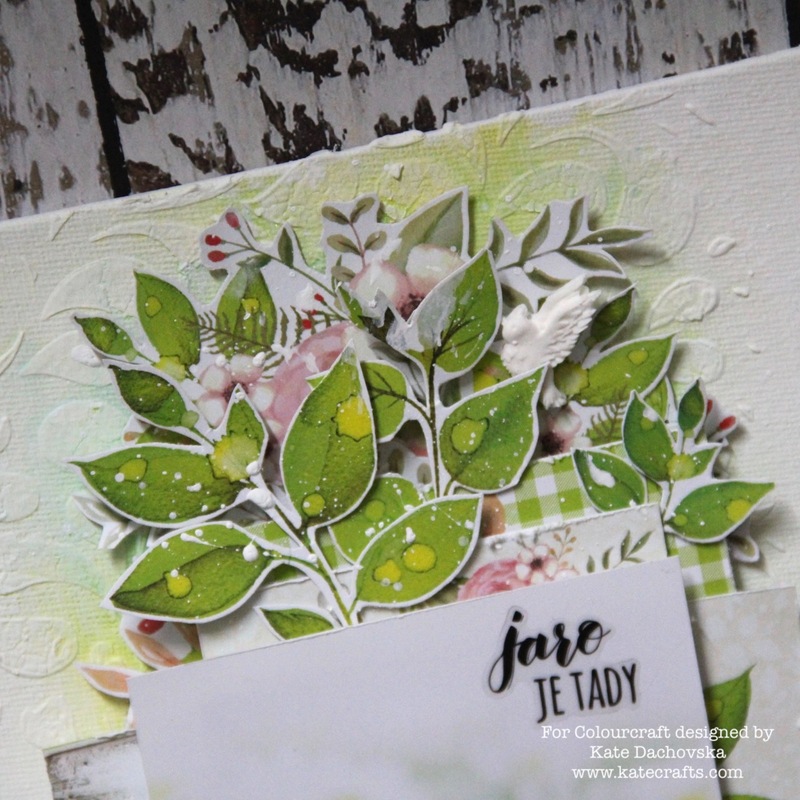 This entry was posted in Cherish the memory and tagged Brusho, cardmaking, Cherish the memory. 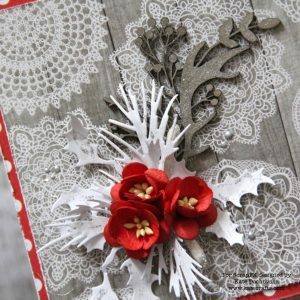 I love days before christmas because christmas crafting is so great fun. Today I have for you one christmas layout. 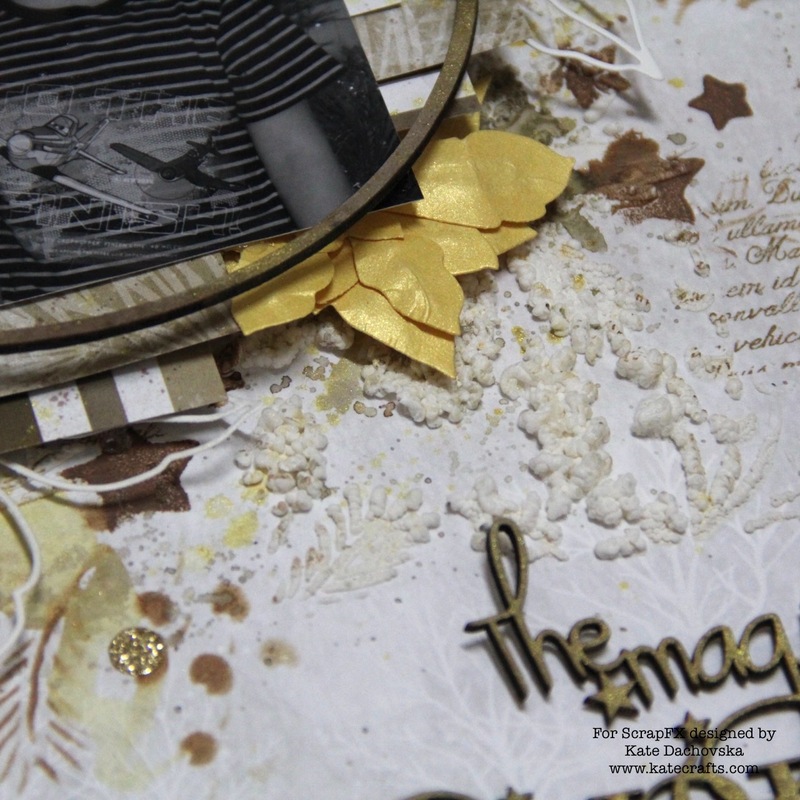 It is easy mixed media layout with stunning chipboards. 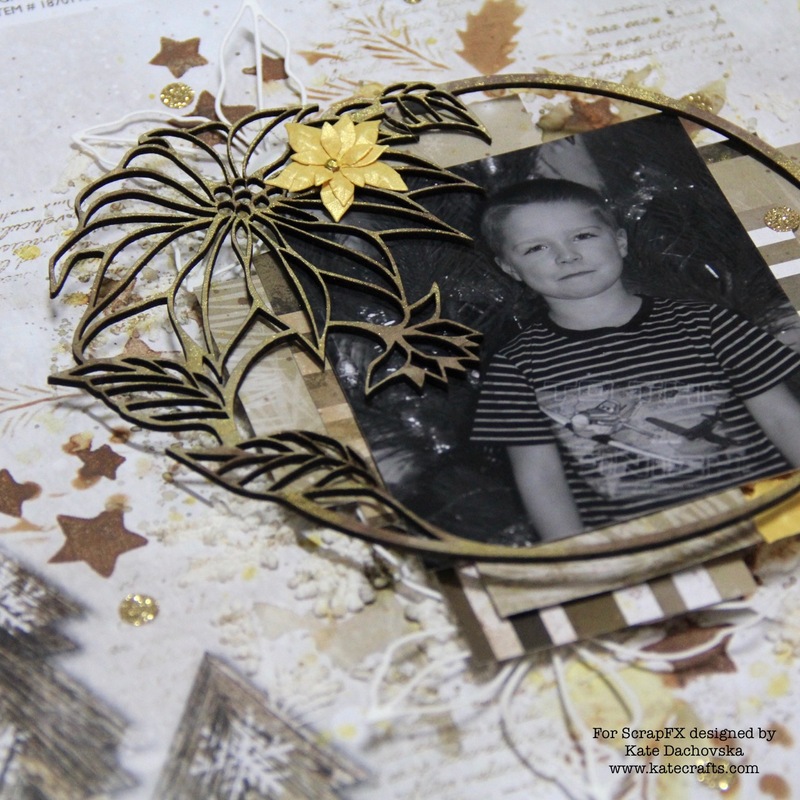 There is my son Toby in front of our christmas tree, I took this photo year ago. I applied over whole page clear gesso (Pebeo) to prepare page for more layers. 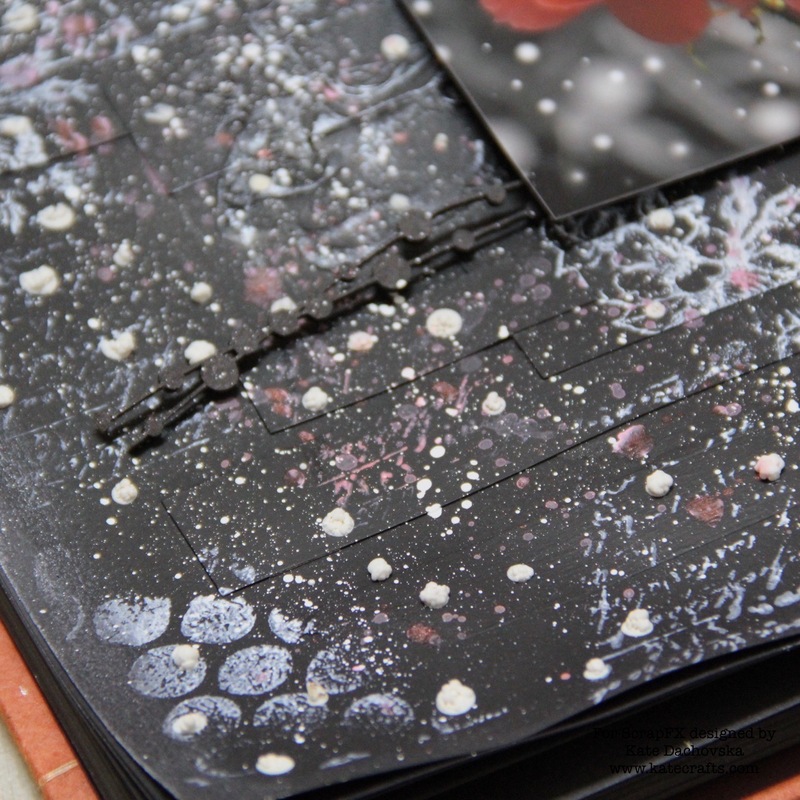 Trough stencil I applied awesome ExpandIT paste and I activated it with heat tool – it will start to grow and make bubbles and it is awesome! You can see it at one detailed photo. 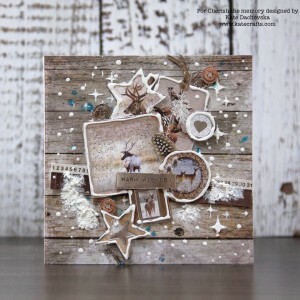 I stamped script stamp here and there with brown archival ink and I stamped also ScrapFX stamp – tiny stars just here and there to add interest to background. 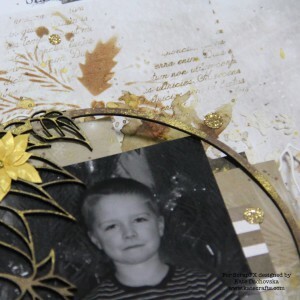 I applied over stencil my favourite Vintage photo Distress oxide ink, than I added some splatters with Shimmer gold acrylic Brusho spray and I glued gold tiny dots. 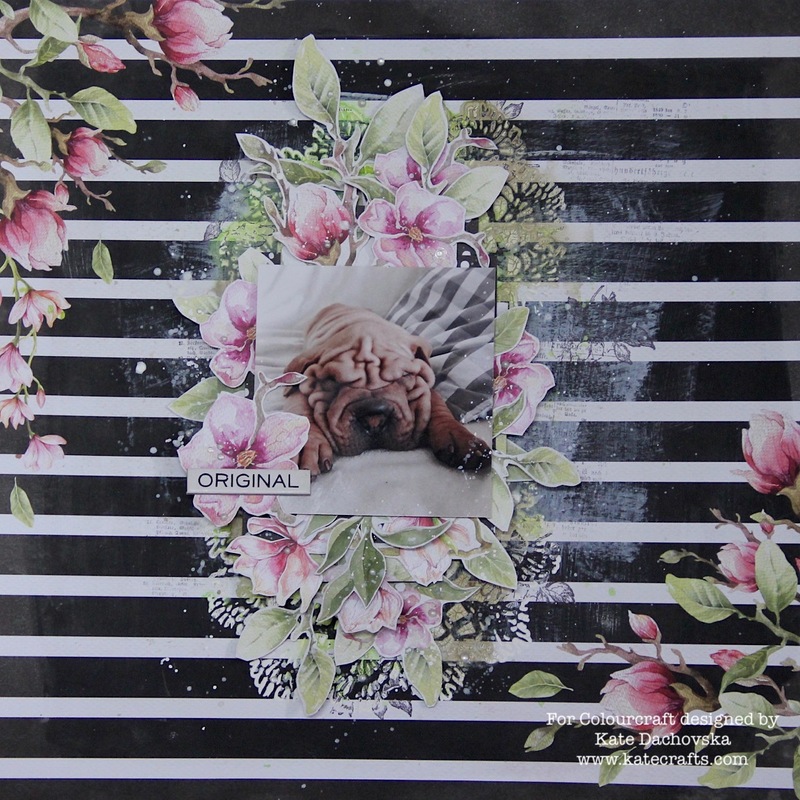 That is all for background. From different scrap papers I made cluster behind photo and I glued it on page, I glued photo too. 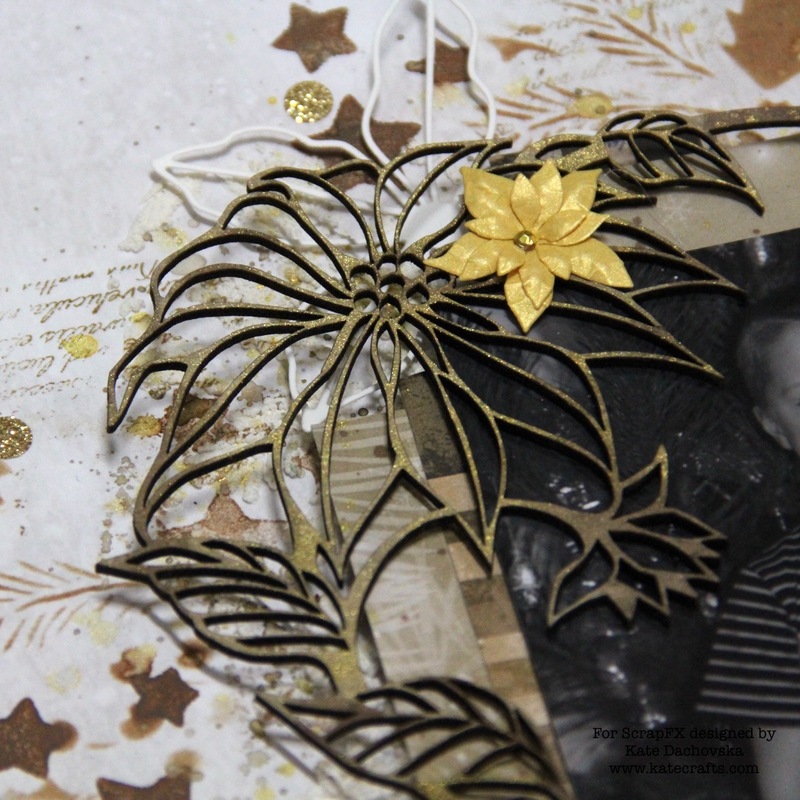 I die cut poinsettias from gold paper and bigger poinsettias from cream paper. 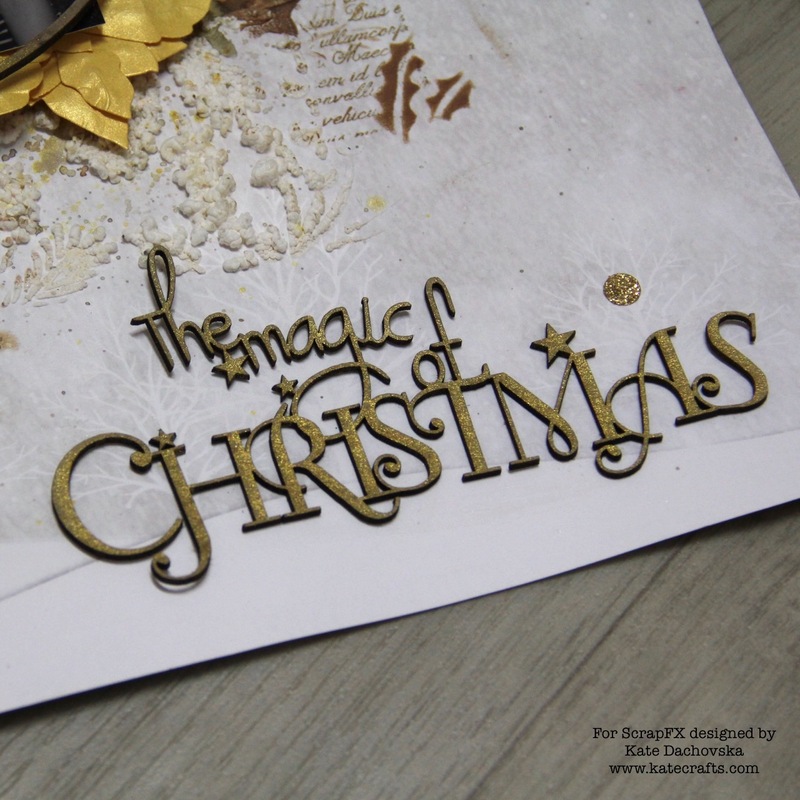 I sprayed all chipboards wtih Brusho shimmer gold acrylic spray. 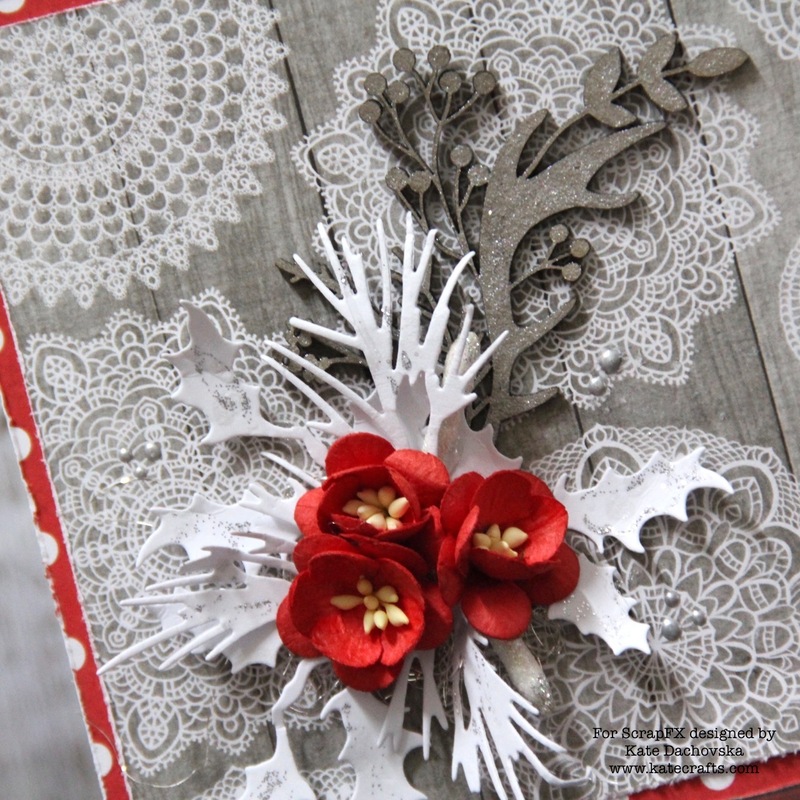 Final step is to glue everything together – chipboards and poinsettias. 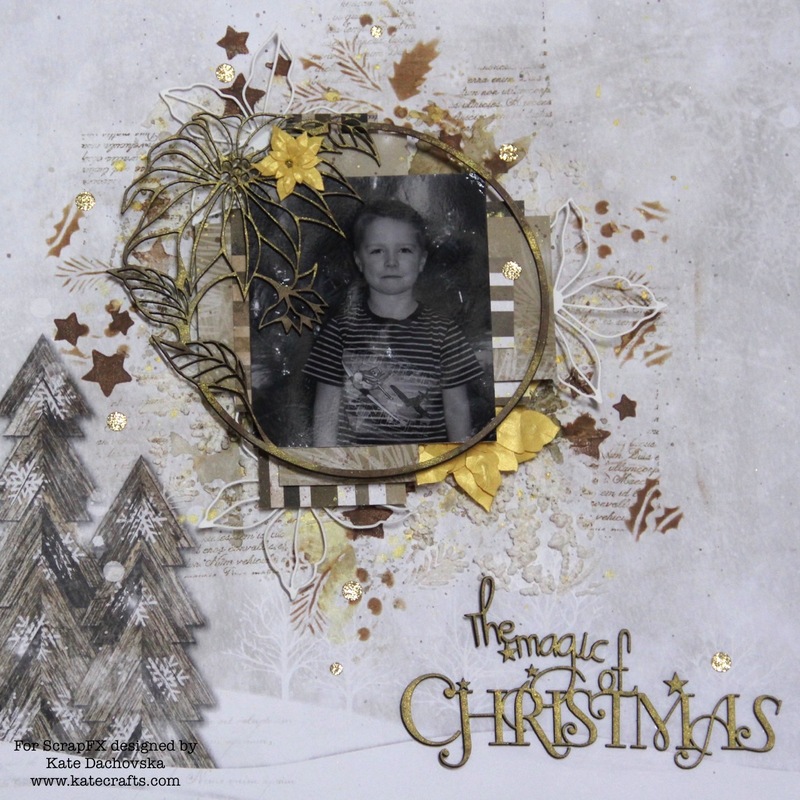 This entry was posted in Scrap FX and tagged Brusho, layout, mixed media, Scrap FX.